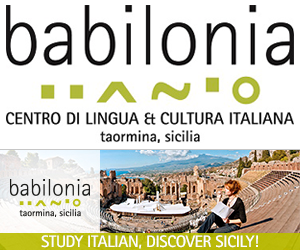 If you like art, fashion, food, Opera and “La dolce vita”, or you want to discover the country that is home to more than half of Europe ’s Unesco protected monuments, Italian is the language to learn! 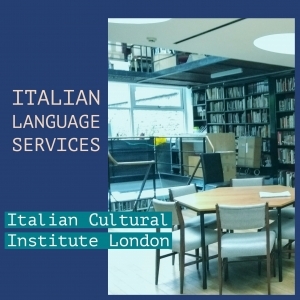 Learn Italian in London with a qualified, native Italian teacher. Individual lessons can be arranged at a time and place that is convenient for you (either at your place of work or at home) or with skype. Mini-group lessons take place at lunch times, in the afternoon or evening – class times and days depend on your level of Italian. My approach to learning Italian is communicative; I focus on developing pronunciation and students’ confidence in speaking. We also provide plenty of activities to help develop aural comprehension and exercises for those wishing to improve their skills in writing Italian. Our materials include: the latest course and supplementary books; real life resources, such as Italian songs, newspapers, video and audio clips; and internet resources such as blogs and interactive exercises. We use these resources to help you quickly develop your level of Italian. 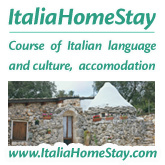 Sun,beach and Italian language course at the teacher’s beach house on the Ionian coast! A week with passeggiate in the countryside, aperitivi in the historic centre admiring the white piazza with ornate buildings just at few steps away from the castle and the tall bell tower. The school is located in the historic centre of this little city that shows the Baroque at its best in Puglia and Italy. I started my lessons with Antonio when I was 14, and now, 3 years later, I can converse with Gondolieri in Venice, debate with my Italian friends and I genuinely feel confident in the most beautiful language in the world. Antonio’s teaching was drastically better than that of my French teachers at school; the pace at which I improved and the quality of my spoken language skills were shockingly good. Not only that, but I enjoyed my Italian lessons, they didn’t feel like a chore, as tutors so often do. My lessons with Antonio started out 1-on-1, but after two years my half-Italian friend joined us, Antonio helped us to learn from one another’s strengths and weaknesses. Learning Italian is a skill that will stay with me for the rest of my life. Grazie mille, ci vediamo Antonio!!! Antonio gave me 1-to-1 classes for a few weeks since I had to prepare an Italian exam and I had to be ready to pass the level above. Antonio managed to get me ready in 3 weeks with 6 hours and we covered the equivalent of 6 months of normal group class ! Antonio is not only a very friendly teacher, but he has this talent to explain everything in a simple manner. His classes are well structured and enjoyable, and he always summarises well the key points at the end. If anyone would like to learn I would highly recommend him as a teacher !! Oh and important point, I passed easily the exam with a good grade ! Grazie mille Antonio and ci vediamo !!! I have been taught by Antonio both in the classroom and in private one-on-one tuition and a student could not ask for a better teacher. As an older student it can take a little longer to grasp things, and Antonio has always shown a great deal of patience and good humour. He has been thorough and comprehensive in his teaching, subjects have been tackled logically and what is obviously a great deal of planning. In the classroom he is encouraging to everyone, no matter how many are present, you never feel forgotten, and he is at pains to make sure everyone understands before moving on. In private tuition, I have made great leaps in my conversational Italian under Antonio’s patient guidance, so that in my job I can greet Italian tourists with confidence and impart knowledge in their native language. Now when visiting Italy, I am much more able to communicate with my new family. Antonio has also backed up his teaching with online exercises and an excellent blog which is really useful for revision! Antonio is a very dedicated teacher, following up each lesson with useful links, tips and exercises. He also responds well to individual needs, structuring lessons around the things you need to work on. I studied privately with him for a few weeks before going to work on a festival in Rome, and I felt much more confident when I arrived; having gone over all of the rules and nuances of Italian that I was missing before. I hope to study more in the future – and would definitely reccommend Antonio. We had many interesting/political/cultural conversations in a relaxed setting which was great. I struggled finding the time to join an Italian class in Sweden. Since I travel a lot my schedule would never fit, it is just impossible to make the same time every week. It was also difficult to find a really good teacher giving private lessons. With Antonio´s Skype lessons I get the best of everything: an excellent teacher and flexibility. Antonio uses the technology having a black board in gmail where we both can write and see what is written. It is even more effective than in a real classroom. 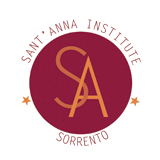 I get access to exercises, videos and explanations of Italian grammar supporting the learning. I am really impressed with Antonio´s teaching skills. I couldn´t wish for more! Myself and a friend have had joint private lessons with Antonio for the last 6 months and it’s been a fantastic and positive experience in every way. He always comes with carefully chosen and interesting material so that grammar is acquired within the context of Italian culture. 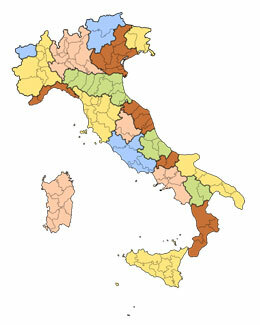 Topics are often quirky and I find myself reporting back to friends and family about the latest nugget of Italian life. Antonio clearly loves his language and country and genuinely cares about us progressing and gaining in conversational confidence. He is utterly professional and dedicated, much more punctual than I am and super easy to get on with. I have honestly enjoyed every lesson. I was taught by Antonio for three weeks to prepare for an exam. He is a very professional teacher, he was good at making me speak lots in Italian and explaining grammar very clearly. He also used a wide variety of different exercises and materials and clearly puts lots of effort into preparing lessons and following up on them. I would recommend him to any potential student! I was taught by Antonio initially in a class session and subsequently by individual Skype lessons. In both situations, Antonio was a fabulous teacher. He is encouraging and patient but at the same time will ensure that you work hard to fulfill your potential. The content is varied and he uses a wide range of material and methods to retain your motivation and interest. And of course it is all supported by his excellent blog. If you’re thinking of learning Italian from scratch or have specific language goals I could not recommend Antonio more highly.